I thought my daughter was joking when she texted me “MOMMY NANALO KAMI”. 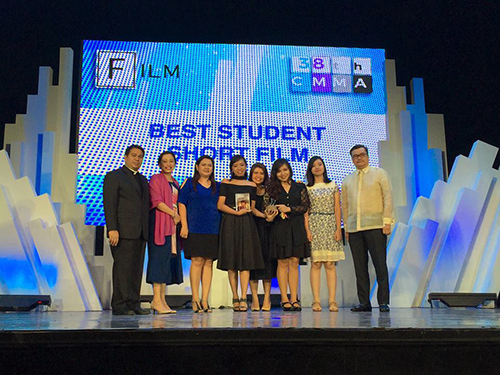 She was so thrilled because they won the coveted Best Student Short Film of the 38th Catholic Mass Media Awards (CMMA) on Wednesday night (October 12, 2016). She and the whole group, namely Gabbie, Rio, (without Maja) and adviser were present at the event held at the Star Theater, Star City, CCP Complex in Pasay City. My daughter said they were nervous the whole time and didn’t expect to bag the award so they were surprised when their entry was announced as the winner. 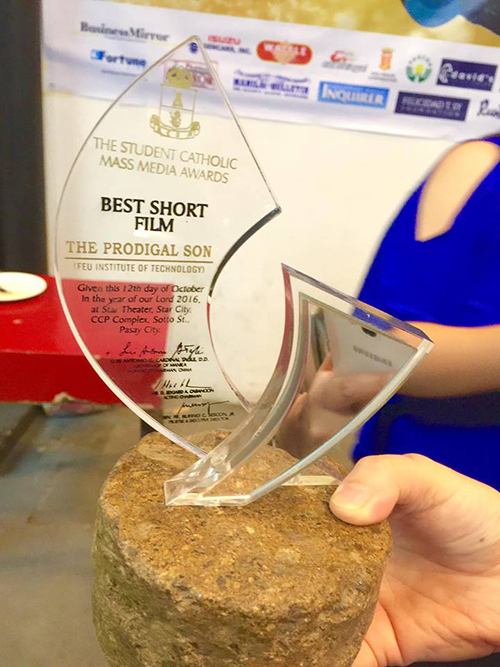 I knew how my daughter and her friends (Gabbie, Rio and Maja) worked hard for their thesis which is an 8-12 minute animation about the parable of the prodigal son, aptly titled The Prodigal Son. They struggled all through those sleepless nights, sweat and tears, to be able to finish the project despite having to attend to their other classes for the entire school year. 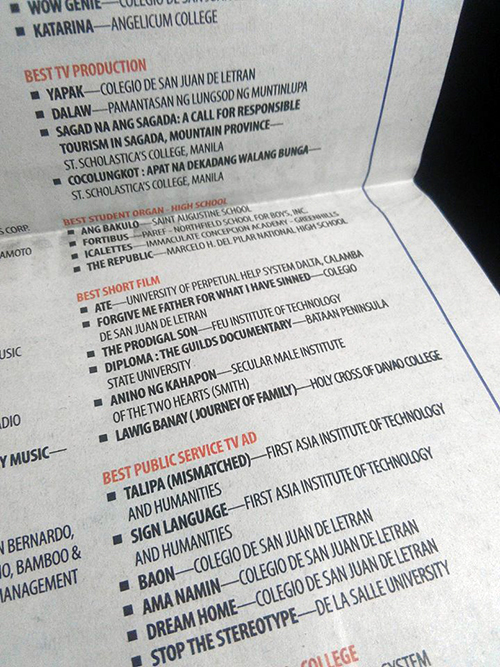 Now their hard work has been recognized by the prestigious award giving body for its significance to the community.